in August for the Alameda Democratic Club. Alameda Councilmember Tony Daysog owns a Web domain named “Moderate Democrat,” but some Democrats in Alameda and the county central committee are doubting his allegiance to the party, all together. Over the past few months Daysog has intimated a similar belief in public, if not, sometimes in a coded manner. He alluded to his shift to the right in an Alameda blog read by many island conservatives. In addition, during a recent council meeting, Daysog repeated the phrase “keep America great,” which sounded to some to echo Donald Trump’s often-repeated catchphrase, “Make America Great Again. 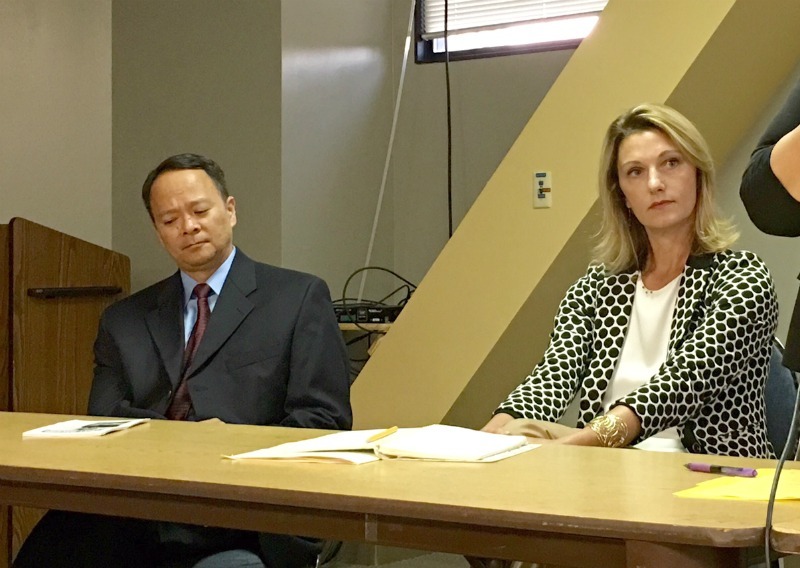 Nonetheless, in August, Daysog unsuccessfully sought the endorsement of the Alameda Democratic Club. Daysog has long been a member of the club. Daysog reiterated in an email that he’s still registered as a Democrat and strongly supports Hillary Clinton for president, but his political beliefs are evolving. “As I age, how I feel now that I am 50 is different from when I was, say, 30. Today, philosophically, I believe the broad over-arching goal of government ought to be about fostering and multiplying ‘abundance’, broadly-construed. Years ago, I thought the over-arching goal was about redistributing abundance. At whatever level — national, state or local — I now think leaders need to focus on increasing the size of the pie, so to speak, as much as they think about how the pie should be divvied-up. Interestingly, these broad philosophical views show up right now in policies we as a city are struggling with,” said Daysog. Posted in 2016 Election, Alameda, Alameda City Council, Alameda Democratic Club, Democratic Party, Hillary Clinton, Measure M1, moderates, redistribution, registration, Republican. Bookmark the permalink. Just to be clear: I'm still a registered Democrat and I've had two signs for Clinton at my house by the Farmer's Market since January. In the East Bay cities such as Oakland, San Leandro, Alameda, anything short of “crazy-left” is smeared as Republican. As though, even if one moderate Democrat happened to sneak into office, it would derail the ultra-left city councils. Each of those cities could use one moderate to offset the mindless “lock-step” forced upon everyone, for fear of being labeled as “right-wing”. Thankfully some sane voices a dozen years ago, kept Alameda from walking off the pension cliff that Oakland and so many other cities did. Each of them later having to lower their crazy pension plans… except for Alameda which kept their regular employees at 2% for each year of service. Now, cities like Oakland are on the h hook for decades and decades, stuck with a budget busting 2.7% pension rate for all employees hired before 2013.
over a typical 24 year retirement, Oakland pays a extra $500,000 for a similar employee. Thank the out of control fiscal madness that ultra-left pro labor councils handed out like candy without regard for how they'd pay for it. Daysog is a very conservative Democrat and always has been. Conservative? No, that's not accurate. I am a moderate democrat, yes. But conservative?, no. Is council candidate Malia Vella a Communist? Some may think so after she has said that businesses have no right to make a profit. It may not be a coincidence that her yard signs are red. So making a profit is a right, rather than something that takes work and sometimes luck? And whatever Tony calls himself, he is always loyal to one thing… Tony.